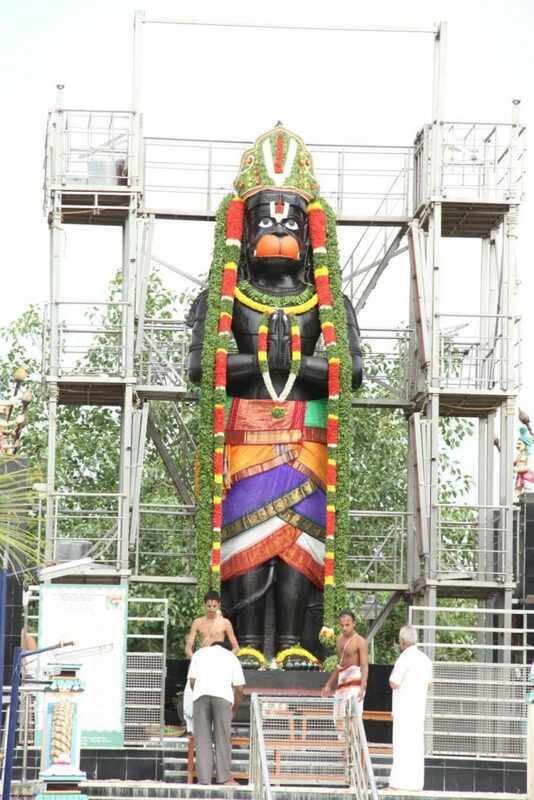 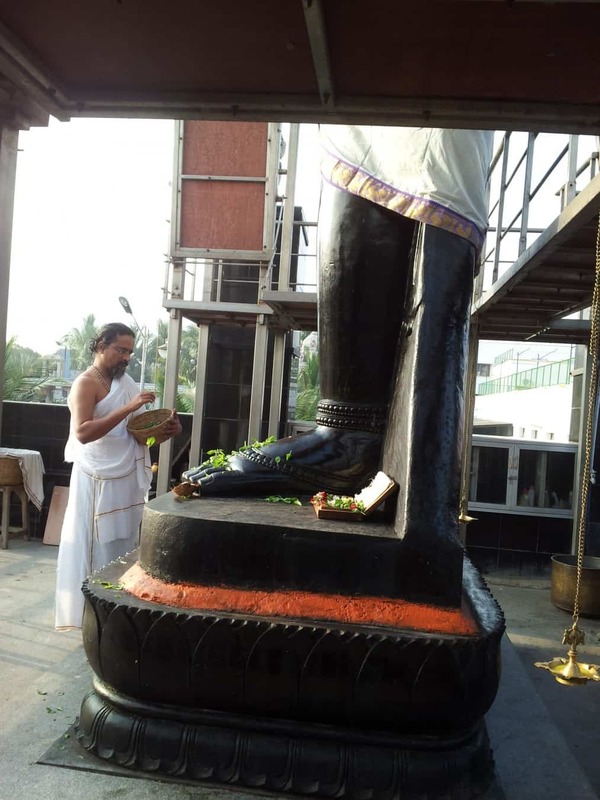 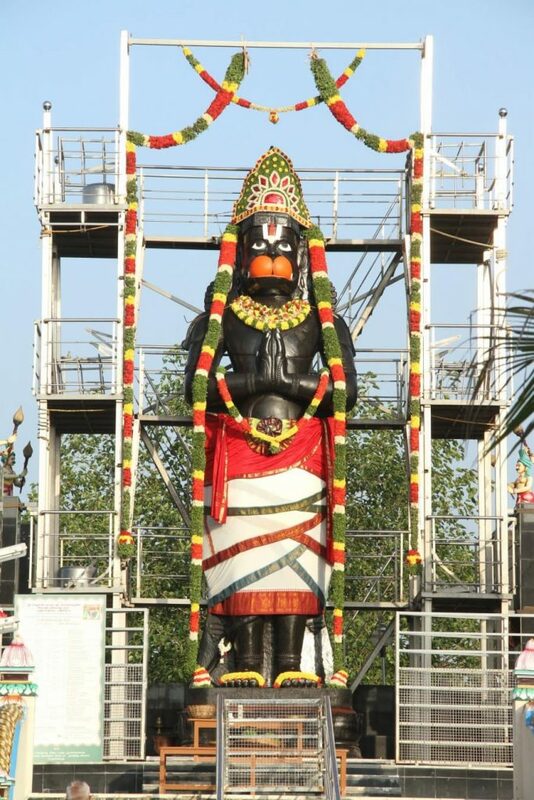 Hanumanji is 24 feet tall symbolizing 24,000 slokas of Valmiki Ramayan. It is considered special to have darshan of Hanumanji on any specific day of the week for 7 consecutive weeks, and offer a garland of betel leaves upon conclusion of 7 weeks. 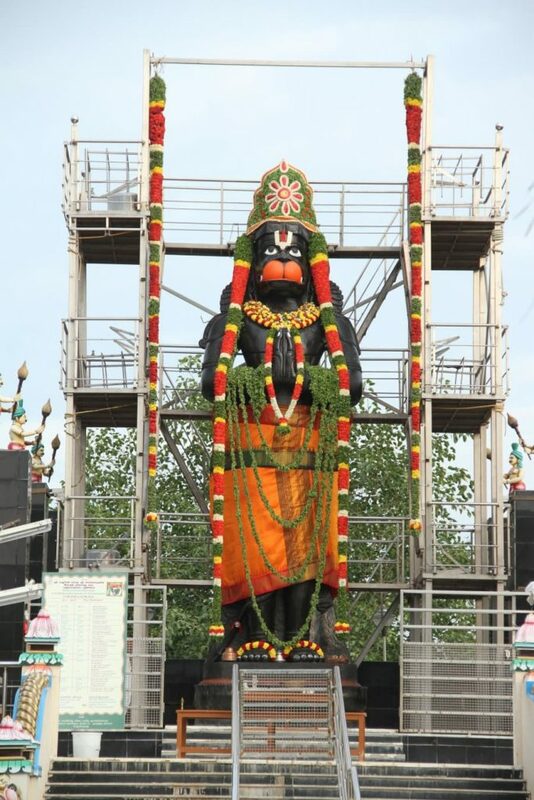 Kanyakumari Sri Jaya Hanuman stands majestically adjacent to Sri KalyanaSrinivasa Perumal Temple. 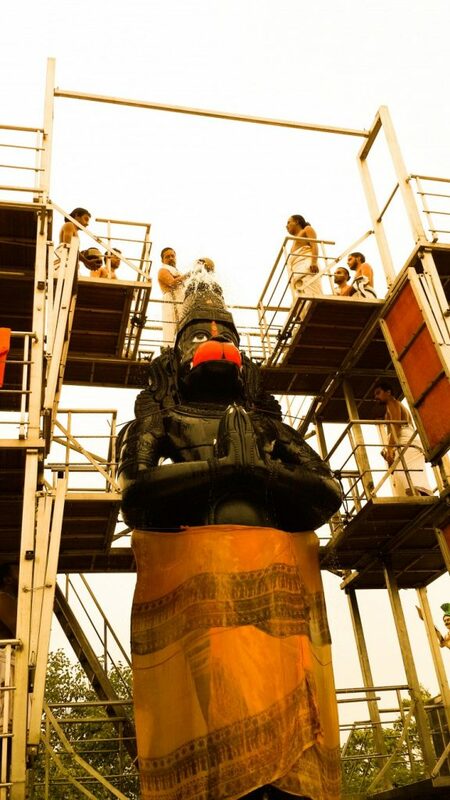 Hanumanji is 24 feet tall symbolizing 24,000 slokas of Valmiki Ramayan. 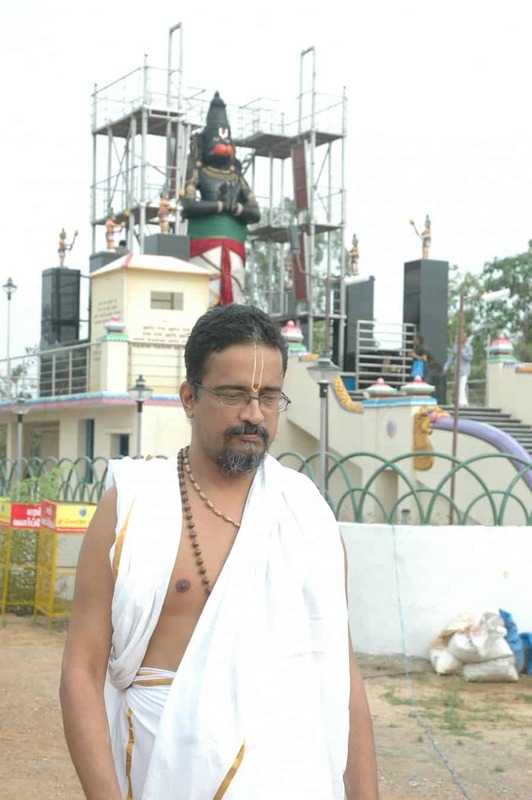 He is so called because, to learn about the whereabouts of Sitadevi, it is from the Kanyakumari region that Anjaneya leapt. 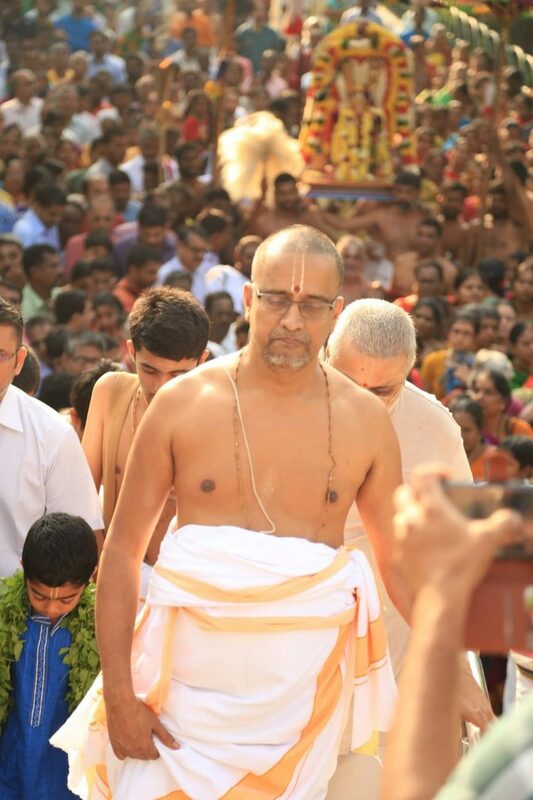 Sri Jaya Hanuman was at Kanyakumari for a week, after which He wanted to come to our Madhurapuri Ashram and since the day of consecration, 26th February 2009 – Mahashivratri Day, numerous devotees throng to have darshan, and experience positive changes in their lives. 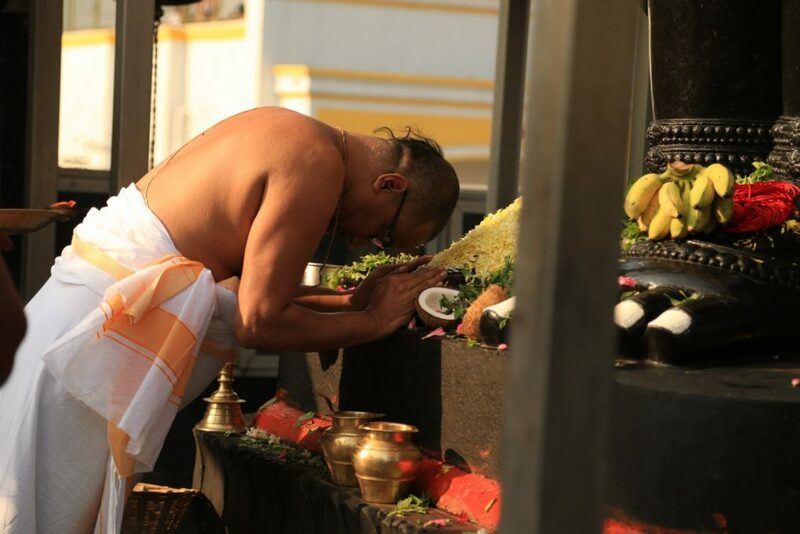 Vadamalai, vennai kaappu (butter) and betel leaf garland are offered for fulfillment of prayers. 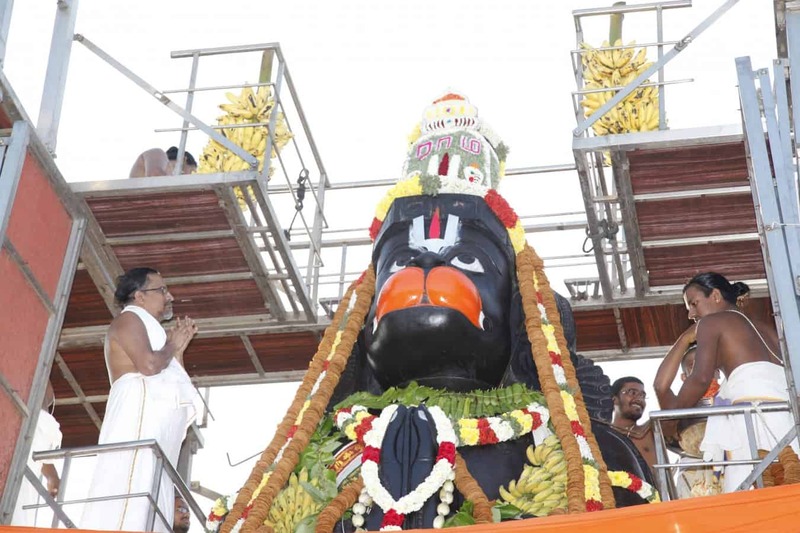 It is considered special to have darshan of Hanumanji on any specific day of the week for 7 consecutive weeks, and offer a garland of betel leaves upon conclusion of 7 weeks.